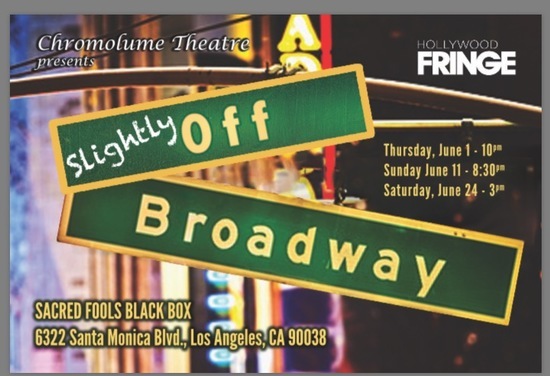 Chromolume Theatre’s Hollywood Fringe Festival offering is writer/director/performer Bonnie Joy Sludikoff’s Slightly Off-Broadway. The title does not refer to the smaller New York City theatres but to Sludikoff’s parody lyrics to well-known Broadway songs. Sludikoff proves to be a clever little parodist, not quite at the level of Gerard Alessandrini’s Forbidden Broadway, but she’s young and has time to grow into her role. Her current show is very much a young person’s show with a lot of the songs dealing with social media from “On My Phone” (to the music from Les Miserables) to “A Whole New Girl” (Aladdin) about dating on Tinder to “Something That’s Mean” (Little Shop of Horrors) about FaceBook revenge. A ticking biological clock “Maybe” (Annie), the high cost of visiting Disneyland “The Fast Pass Line” (The Lion King), obsessions with Lin Manuel Miranda “So Stoked” (Mary Poppins) and TV’s Law and Order SVU “Officer Benson” (West Side Story) are other fodder for parody. Even the Fringe Festival itself gets “What I Did for Fringe” (A Chorus Line). 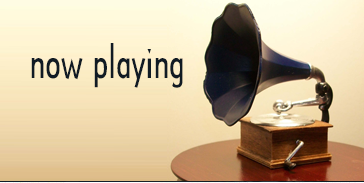 The hour long show features 20 numbers and moves effortlessly from one to the other. Musical director Paul Cady provides great accompaniment to the cast of five—Sludikoff, Kelvin Ralph Chou, Rita Outtrim, Ken Maurice Purnell and Eleen Hsu-Wendlandt. The voices aren’t the strongest in Fringe but they are pleasant enough and seem to grow stronger as the show progresses.